Professor Georgi Tchernev graduated his medical education in 2001 at the American University “Benjamin Franklin” in West Berlin. Then applied and was approved for a PhD student in the Department of Dermatology, Venereology and Allergology under the leadership of Prof. Dr. Constantin Orfanos and Prof. Dr. Christoph Geilen. During this time he worked in parallel and as an assistant doctor/resident at the University Hospital Benjamin Franklin, Departments of Dermatology, Venereology and Allergology. From 2004 to early 2006, he is resident in the Departments of Dermatology, Venereology, Allergology and Immunology Municipal Hospital Dessau, Academic Teaching Hospital of the University “Martin Luther” in Halle-Wittenberg, under the leadership of Prof. Dr. Hans-Dieter Goering and later Prof. Dr. Christos Zouboulis. In 2007, he finished his PhD work in the field of dermatology and oncology and continues to be resident in the Departments of Dermatology, Venereology, Allergology and Pediatric Pulmonology in Kühlungsborn, Germany. He acquires specialty Dermatology and Venereology in 2008. From 2008-2010 Dr. Tchernev actively work for the creation and establishment of Policlinic in Dermatology and Dermatologic Surgery in Kirchheim, Germany. In 2010, Dr. Tchernev receive academic degree “Associate Profesor” of Dermatology at the Faculty of Medicine at the Thracian University in Stara Zagora, Department of Dermatology and Venereology. From 2011 to present he is an Associate Professor of Dermatology at the Policlinic of the University Hospital Lozenets – Academic Teaching Hospital of the Sofia University “St. Kliment Ohridski”. At the meantime, he is a creator and owner of a private Policlinic for Dermatology and Dermatologic Surgery, named “Onkoderma”, located in Sofia, Bulgaria. His scientific interests are focused in the field of dermatologic surgery, dermatologic oncology, pathogenesis of immunologically mediated diseases in dermatology and theoretical and practical immunology. Prof Dr Tchernev is serving as Professore a Contratto in the University G.Marconi of Rome in the present Academic Year 2015 – 2016. Assoc. Prof. Tchernev is an author of more than 300 scientific works, including over 220 articles published in international (and some Bulgarian) journals, including the The New England Journal of Medicine and The Journal of Investigative Dermatology,The Lancet, Mayo Clinic Proceedings, Medicine (Baltimore), publisher and co-author of three books, with over 40 chapters in total and is a regular participant in national and international forums and congresses of Dermatology all over the world.Since march 2016 Georgi Tchernev is Professor at the Medical Institute,Ministry of Interior (MVR), Department of Dermatology, Venereology and Dermatologic Surgery. Dr.Hsuan-Hsiang Chen is currently Adjunt Dermatologist at Department of Dermatology, National Taiwan University Hospital. He is also Chief at Department of Dermatology, Jing-Mei Hospital, Taipei City, Taiwan, and Dermatologist at Holy Beauty Skin Clinic, and Beauty101 Skin Clinic, Taipei City, Taiwan. He obtained Doctoral of Medicine (M.D) from the National Taiwan University in Taipei, Taiwan. He received Best Paper Award from Skin Education Research and Development Foundation; From National Taiwan University - The Phi Tau Phi Scholastic Honor Society; Scholarship of Prof. Tsungming Tu; Best Intern, and Excellent Youth awards. Dr. Chen has also published many scientific papers on Contact Dermatitis, Psoriasis, Infectious Diseases, Lymphoma, and Nail Disorders. 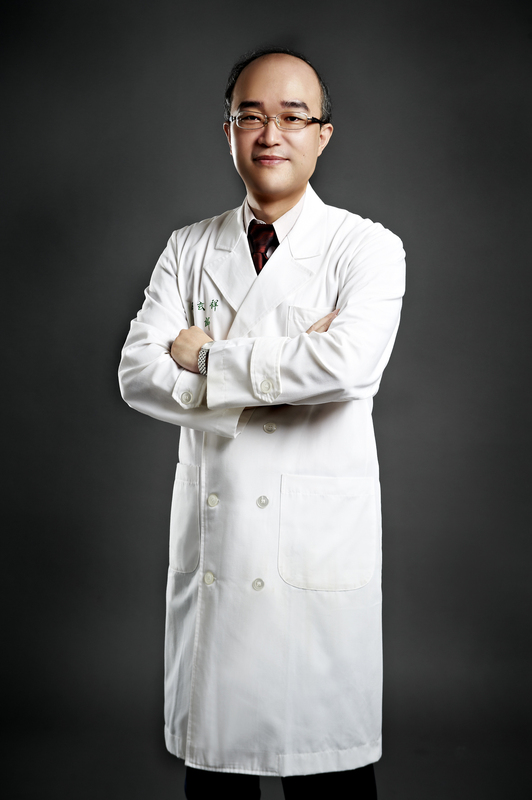 Dr. Chen has been involved in both Dermatological and Cosmetic treatment procedures for the 10 years. His expertise is in Skin Pigmentation, Acne correction, Rosacea, Photo-aging, Anti-Aging and Laser Treatments. He is specially experienced and skillful in performing Botox, Restylane injection and other treatments for Acne Scars, Wrinkles Correction and Facial Contouring and Enhancement.